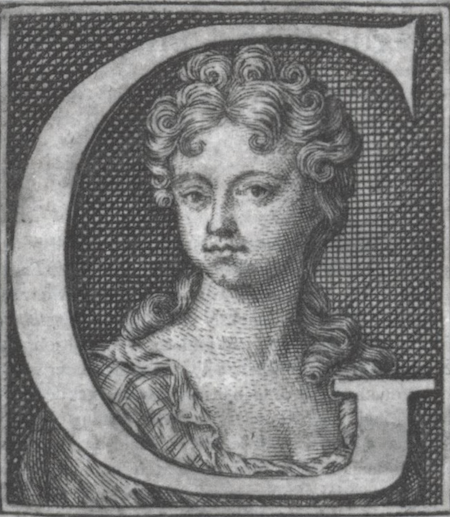 Yvonne Seale writes about the first female Anglo-Saxon scholar, Elizabeth Elstob, an 18th-century “pioneer” in a recent History Today article. Even Thomas Jefferson was a devotee of her book on Old English grammar, called The Rudiments of Grammar for the English-Saxon Tongue (1715). How many other women pursued their dreams thanks to men who supported their yearnings? 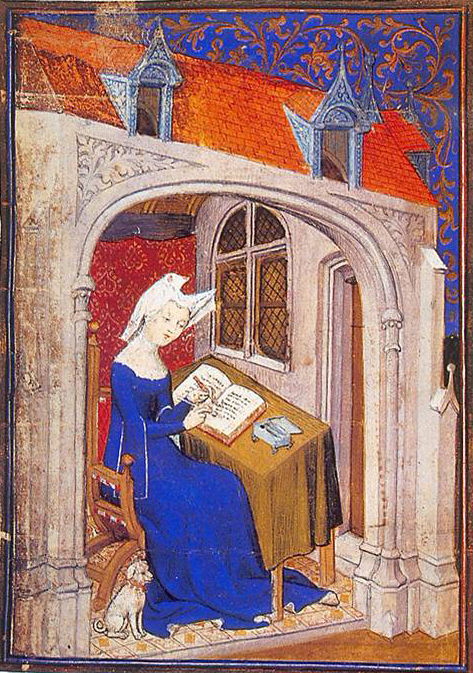 We know that Christine de Pizan (late fourteen- and early fifteenth centuries) was granted a full education due to her father’s intervention. Thomas supported Christine’s desire to study and learn. Not every girl was given this opportunity. British Library, Ms. Harley 4431, f° 4. Christine writes with her puppy by her side. 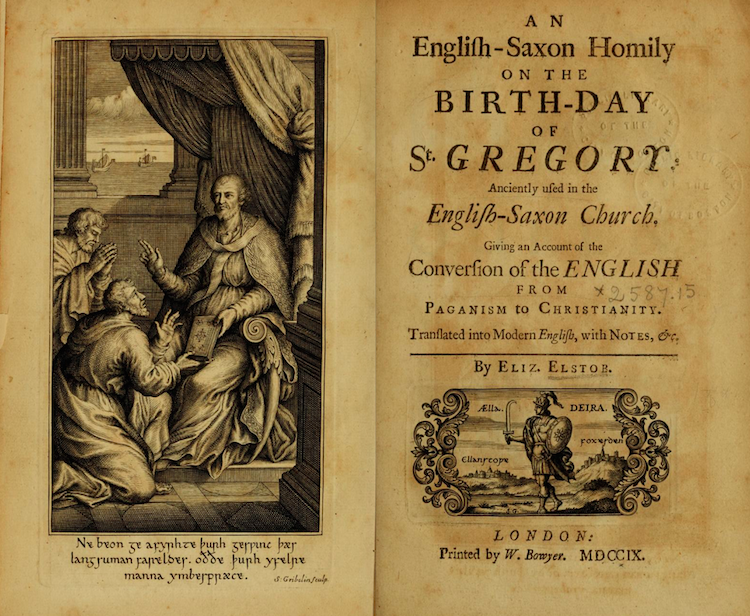 While a noble family might hire a tutor to teach girls in the family, the only other way a young female could become proficient in Latin, rhetoric, and other subjects was to enter a convent as a child or young teenager. Thereafter, she might take a vow to be a nun or simply leave the convent once a marriage had been arranged for her. Thanks to her father, Christine did not have to leave home for her high-powered education. It is in the interest of both men and women that women be education. Some far-thinking men realized that in centuries long in the past. I hope that men around the world come to understand that as well. One wonders about Grendel’s Mother’s life if she had had a supportive brother or father. [i] Harriet Martineau, Autobiography, excerpted in Gilbert and Gubar 108-9 [106-9].